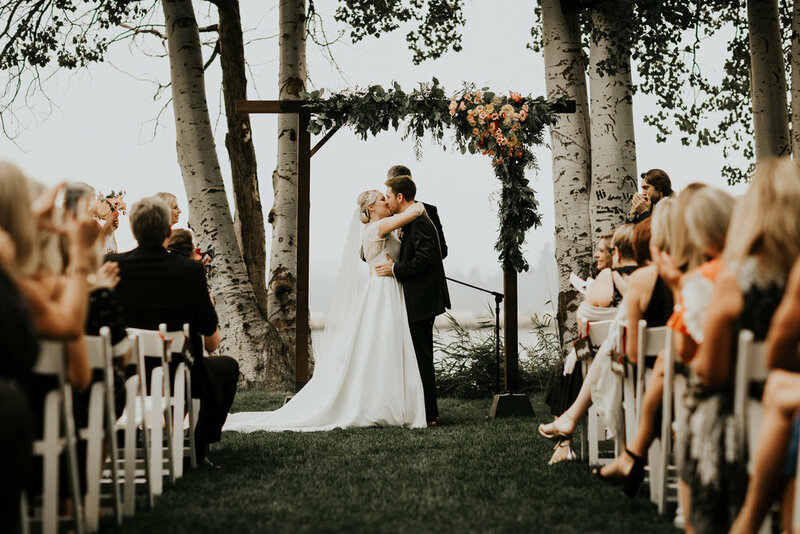 D+S got married down in central Oregon at Black Butte Ranch. This location is seriously dreamy- it's set right on the water with lots of photo opportunities, guests can stay in their own cabins, and there is a lot to see and do during the weekend. Their wedding weekend fell right in the middle of some serious wildfires that were going on in the area, overall it created a bit of a haze and the sky was pink around sunset. 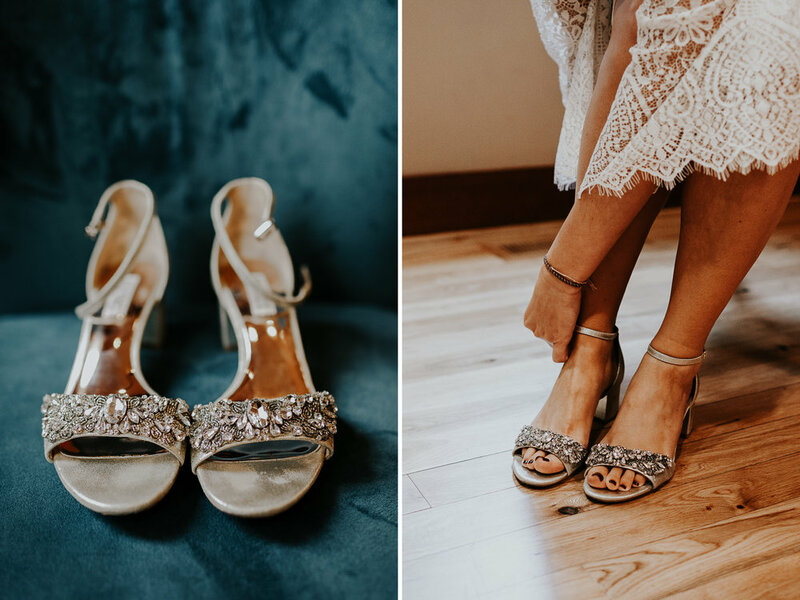 I truly think Danielle has a calling in wedding planning, she created the vision for this and brought in a seriously rad team of vendors who could help her bring it to life flawlessly. 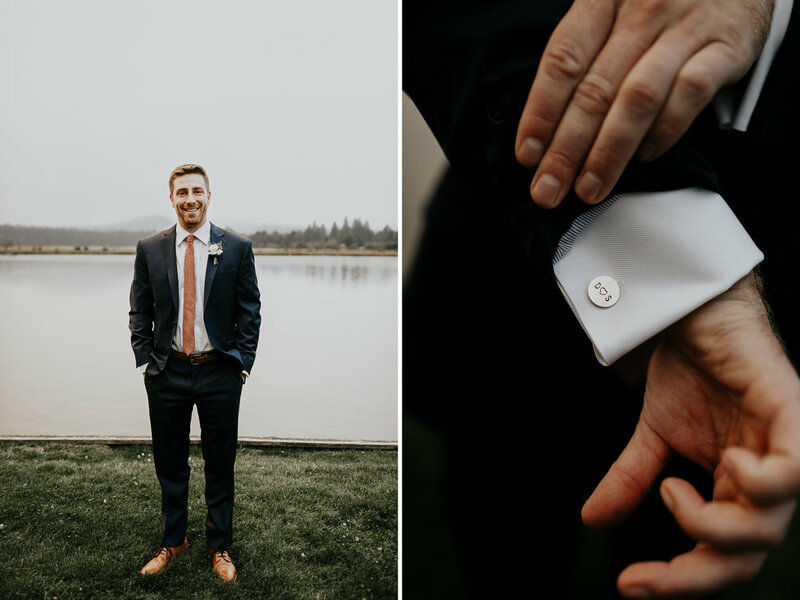 From the moment I arrived, the details were perfect. 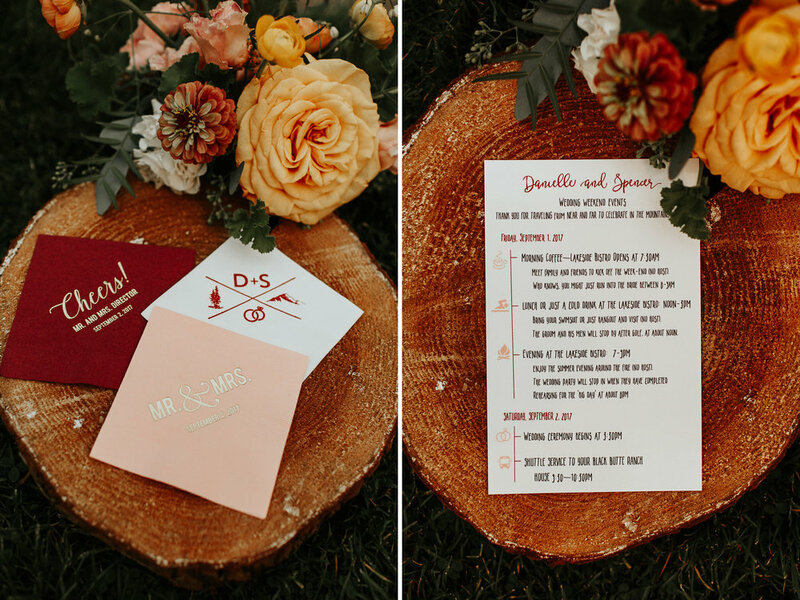 From signage, to invitations, to jewelry lay out, to rentals- she didn't forget a thing. Summer Robbins really brought everything to life with some bright and stunning florals. 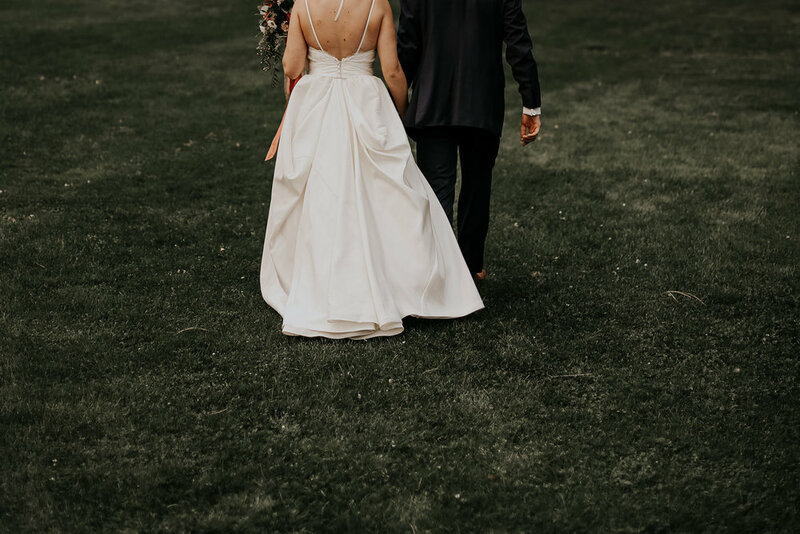 D+S had a first look and then walked around and just took in everything coming to life, Danielle had mentioned this was a very exciting moment for her as they had spent so long planning and it was their first moment seeing it all come together. Their ceremony was sweet with a string quartet, it was set right against some tall trees which provided nice shade for her guests. Because we were able to do most of their photos before the ceremony, D+S got to make a grand entrance into their cocktail hour and spend it chatting with their friends and family who came in to be there with them. There was dinner, and toasts, and then the real party started. Seriously, at one point I went upstairs and looked down at the dance floor and forgot I was at a wedding. It was a crazy fun dance party, right under string lights and the stars. This wedding is one I'll forever love, it was right up my alley with elaborate detail, amazing vendors, a bride and groom who are freaking adorable and crazy about one another. I seriously wish these two nothing but the best! THIS WEDDING WAS FEATURED ON WEDDING CHICKS!! SEE IT HERE! 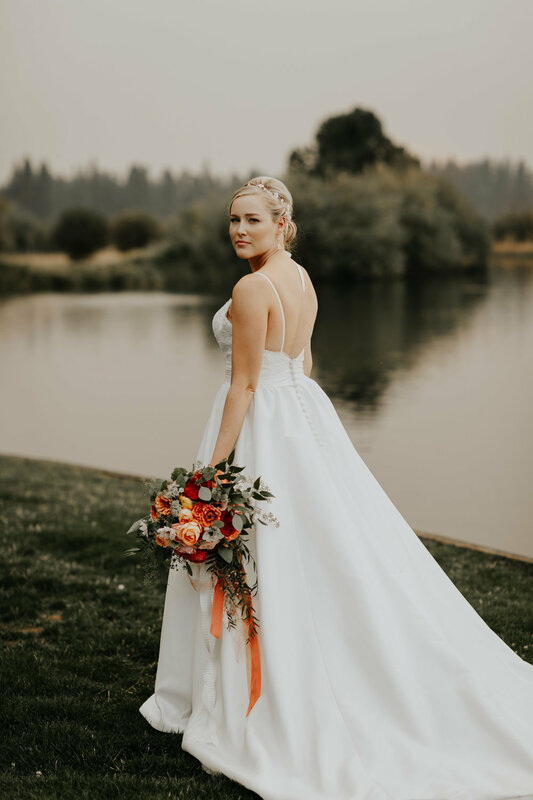 Danielle & Spencer | Black Butte Ranch | Sisters, OR from IndieGlow Films on Vimeo. 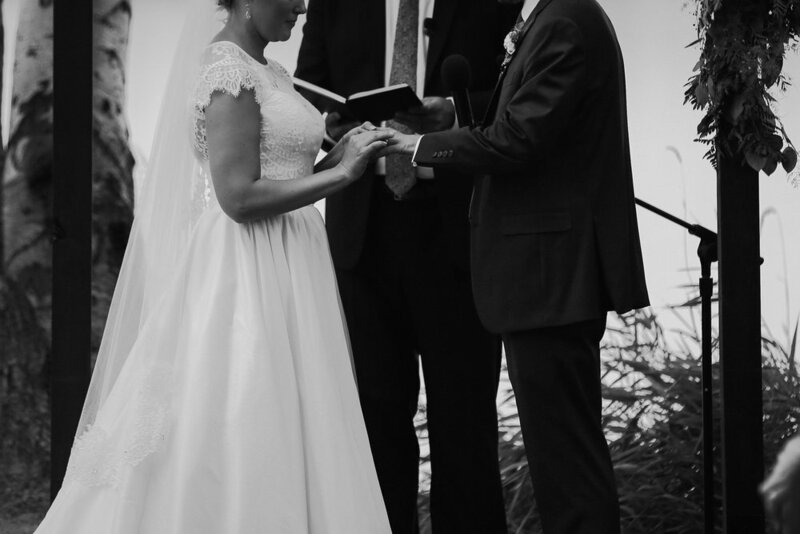 This wedding was featured on Wedding Chicks! See more of it here!